ON a multiplicity of levels, the so-called reportage regarding last Saturday’s jihadi attack in Roanoke, Virginia – in reality, a failed beheading – as always, is wildly off the mark. Dear G-d, have mercy. 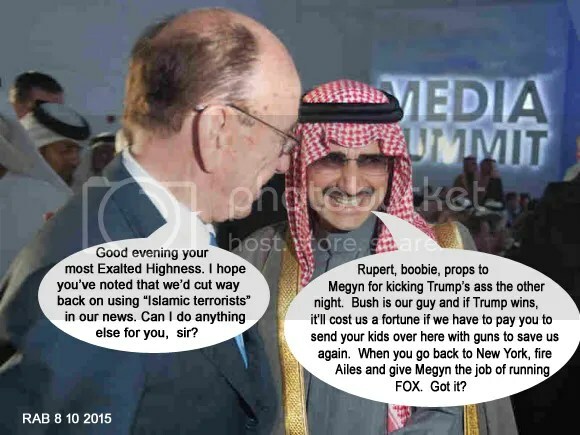 IN the main, once again, two of the primary bulwarks to protect the nation – via proactive responses from law enforcement in tandem with non-biased reportage from the “Fourth Estate” – have been torn asunder. To wit, untold catastrophes lie ahead. Alas, in the not too distant future, a disaster-in-the-making awaits. YES, a major contributory factor to the public’s lulled state is courtesy of the purposeful storytelling re Allah’s Muslim Terrorists. Last weekend’s Islamic terror attack is more of the same. Indeed, as if on cue, Wasil Farooqui of the Roanoke area is deemed a “disturbed” individual with “mental” problems, or so sayeth the scribblers cited below. Adding to the slumbered mindset, the “other” also failed to fully execute whatever he had in mind and got caught. Therefore, the comatose citizens should move right along and forget it ever happened. CONCOMITANTLY, DHS, under HUSSEIN’s directives, has tasked its agencies (filtering down to local law enforcement) to take a “hands-off” approach to Islamic jihadi terror. The evidence is overwhelmingly clear that this is the case. In fact – placing aside all the previous attacks – Orlando’s jihadi act of terror, the largest since 9/11/01, is more proof of the same malfeasance. As part of the investigation, Omar Mateen, who was killed in a shootout with police on Sunday morning, was placed on a terrorism watch list and interviewed twice before the probe was closed in March 2014 because agents concluded he was not a threat, FBI Director James B. Comey said Monday in an interview with reporters at bureau headquarters. Several months later, in July 2014, Mateen surfaced in another investigation into the first American to die as a suicide bomber in Syria, a fellow Floridian. And, again, investigators moved on. It was the third time — following the Boston Marathon bombing in 2013 and a planned attack last year on a contest to draw the prophet Muhammad — that someone who had been scrutinized by the FBI later carried out a terrorist attack. MIND you, as will be seen, the fact that Virginia’s jihadi had been on their radar – for this and that – once again, they didn’t scoop him up! What’s going on? W T F were they waiting for this time? Besides, shouldn’t Orlando have been a teaching tool, a lesson learned, as to what happens when an “on the radar” jihadi is allowed to roam free? Sheesh. 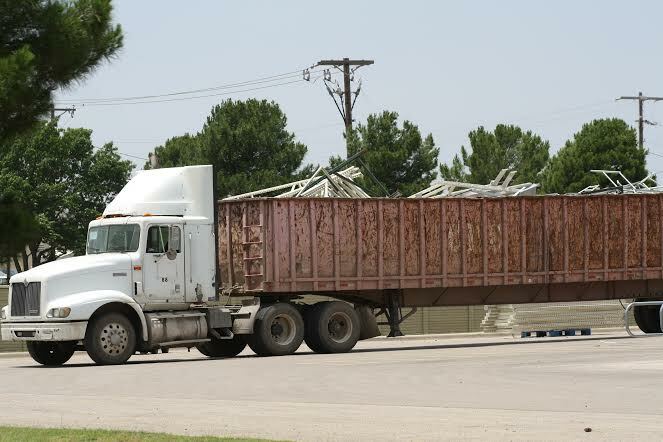 OH well, nothing to see here…moving right along…to Roanoke, Virginia! On Saturday, Farooqui allegedly injured a man and woman at an apartment complex in Roanoke, yelling “Allahu akbar” — God is great — as he attacked them with a knife, sources told ABC News. Authorities believe he may have been trying to behead the male victim, who was likely picked at random, ABC News was told. But on Tuesday — after news of the case surfaced nationwide — a spokeswoman for the Roanoke County Police said that while the male victim was cut “all over his body, including his neck,” police do not believe the case looks like a beheading attempt. AS such, the onus lies with all the jive-talking politicians, media mouthpieces, top blowhards from law enforcement, as well as other apologists for Allah’s Muslim Terrorists, relative to what lies ahead. Islamists in America have non-Muslim citizens in their cross hairs and they have nothing to fear from officialdom. Not to mention, this investigative journalist feels compelled to continuously set the record straight and it is beyond tiresome. Enraging. ALAS, here we go again. But this time let’s take a (mental) trip to Wasil Farooqui’s ‘hood. STILL yet, in order to understand what’s what, chuck out any nonsense that the Salafists – the so-called hard-liners within Sunni Orthodoxy, akin to ISIS and the like – are out of sync with “practical” Islamists from the Muslim Brotherhood Mafia. Yes, tiffs between Muslim streams have been ongoing for centuries, but this means squat when it comes to killing infidels. You got that? In May, 2011, Ahmed El-Tayyeb received a delegation from the Muslim Brothers, headed by the group’s Supreme Guide Mohamed Badei’. This meeting was the first of its kind in the history of Al-Azhar and the Muslim Brotherhood. According to the Muslim Brotherhood’s website, the Muslim Brotherhood and Al-Azhar, together with the Ministry of Endowments, are collaborating to form a committee to visit mosques and speak to the people to clarify the message of Islam and its values of moderation, tolerance, and peace. This effort came at the backdrop of violent religious confrontations among Muslim and Copts in Imbaba, Atfih, and other places in Egypt. The agreement, according to the website, came after weeks of unprecedented meetings between Bedei’, El-Tayyeb, and a delegation from the Ministry of Endowments. Not only the Muslim Brotherhood, but El-Tayyeb also received Mohamed Hassan, the famous Salafi preacher, on May 10, 2011. MORE specifically, a premiere counter-terror investigator – none other than Dave Gaubatz – wrote the definitive treatise on the subject, Muslim Mafia: Inside the Secret Underworld That’s Conspiring to Islamize America, and investigated the aforementioned mosque, as well as hundreds of others throughout America. This patriot attests, vouches, to its absolute violent teachings! Now, if his evaluations, as to what’s what, are good enough for this American-Israeli to stake her life on, well….. 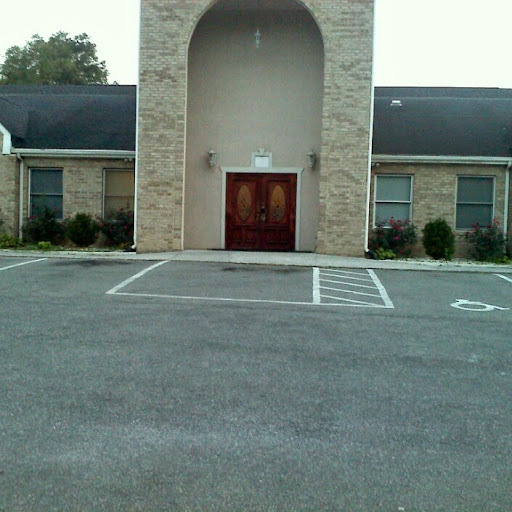 WHICH brings us full circle to one of the Board Members at Masjid Al-Noor/An-Nur, the infamous Mohammad Weiss Rasool. NOW, many haven’t heard of his treachery but others have. But for those not yet in the know, please hang on. His mission for Allah is one of many such betrayals throughout the Muslim-American community. For the record, their acts of jihad are mostly facilitated at mosques, community centers and related Islamic gatherings. “Former Police Sergeant Mohammad Weiss Rasool….joined the Fairfax County Police Department, which is the largest force in Virginia and a key partner with the FBI in investigating major terrorism cases in the Washington area, including the 9/11 attack on the Pentagon. But Rasool, an Afghan immigrant, got wrapped up with CAIR and put his religion ahead of his adopted country. In fact, he betrayed it. BUT we are not done yet. Not only is Roanoke’s (akin to most local, state & Fed law enforcement, except for those trained under the counter terror wings – though recently clipped but let’s not digress – of the NYPD’s former police commish, Ray Kelly) law enforcement clueless about what animates and sustains Islamic jihad, their main forte is reactive ala mop-up duty. Too little, too late. ADDING fuel to the incendiary fire, again, the biased media enters the fray. Intrinsically, even local mouthpieces can’t/won’t – six of one, half a dozen of another – get the facts straight. Resultant, leave it to the leftist/liberal/progressive Roanoke Times to lend jihadi cover, spinning and weaving the “mentally ill” angle, even to the point that the terrorist attacker heard voices! O M G. Similarly, the dodging played out at WDBJ7, to the point of giving Correlli Rasheed of the The Masjid An Nur Islamic Center in Roanoke a platform to set the record straight. Mind numbing. The Masjid An Nur Islamic Center wholeheartedly condemns the attack that took place in Roanoke (Saturday). We stand with our fellow citizens and wish for the speedy recovery and healing for injured and their loved ones. While an investigation is on-going as to the motives of the attacker, terrible acts such as this one violate the basic tenets of any religion, including Islam. There is never any justification for terrorism and violence. Anyone who takes or attempts to take the life of another is not following the teachings of their religion. READERS, fellow patriots, you can’t make this nightmare up. Truly, do their apologists really believe that they will be spared from Allah’s Muslim Terrorists?? And it is against the above dramatic backdrops that Farooqui received his schooling. Hmm. DESPITE all the warning signs, far too many non-Muslim citizens are willing to remain as blind as bats. They prefer to ignore the stepped-up methods of Islamic jihad within America and the west at large, just as long as the carnage remains far enough removed from their locale as well as “intermittent.” Earth to fantasists: each and every attack within ones national borders must be considered akin to a probing, whether “successful” or not! As is said, this is where the rubber meets the road. MOST significantly, not unlike the leadership’s failure to learn relevant lessons prior to 9//11/01 (which could have prevented it), so too the upcoming coinage will be extracted at an inordinately high cost. Guaranteed, it will be a devastating blow. Moreover, let the record stand: just like 9/11/01 didn’t have to happen, the ensuing carnage dare not be recorded as a “bolt out of the blue.” The proofs as to what is in store have been amassing for years, nevertheless, they have been purposely ignored for sundry reasons. They include, but not exclusively so, political expediency and ideological die-hard prisms. NOT to belabor the obvious, the next go around will make 9/11/01 pale in comparison, as if it was child’s play. And don’t think many in America’s powers centers aren’t duly aware. They are. IT is impossible to think of a more dangerous juncture in American history, even factoring in the Revolutionary and Civil Wars. And this assessment is neither hyperbole nor hysteria induced. Not at all. HOW so? Well, patriots were at the helm yesteryear, but this is no longer the case. Yes, a targeted compilation and proper rendition could fill a book, still yet, suffice to posit: when the enemy is both inside the body politic, as well as within society at large, what could be more dangerous? Nothing. MORE specifically, they operate from various fifth column populations, hostile to America and its Constitutional basis. Millions of illegals (many of whom are criminally bent and otherwise dangerous) are harbored and facilitated by political (with DHS leading the way) and civil society cultural Marxists, socialists and communist elements alike. All the while, militant Islamic jihadis are given refuge through government assisted arms. Fact-based. BUT if supportive evidence of the same is still required for the “doubting Thomases”, that’s okay. View the following testimony on Capitol Hill (from a more than qualified expert connected within), coupled with duly proof of the same from patriotic insiders, whistle blowers, if you will, and then decide what’s what. IN the meanwhile, HUSSEIN Obama is ramping up his efforts to implant as many adherents to Sharia Law within his last few months in office, regardless of the out-sized dangers, and against the will of millions upon millions of patriotic citizens. The U.S. accepted more than 2,300 Syrian refugees in June alone, sending the fiscal year total soaring past the 5,000 mark and putting the government on track to surpass President Obama’s goal of 10,000 by the end of September, but raising questions about screening out potential terrorists. June’s numbers set a monthly record for the Homeland Security and State departments, which committed resources received earlier this year to streamline the process — in what critics say amounted to corner-cutting — to get back on track toward Mr. Obama’s political goal. “I believe we will make the 10,000,” Homeland Security Secretary Jeh Johnson testified to Congress on Thursday, assuaging fears of some Democrats that the administration was going to fall short. Mr. Obama vowed last year to take 10,000 refugees as a way to help Syrians caught in a 5-year-old civil war, in which the Assad government, Islamist militants and Western-backed rebels are fighting for control of the country. Security officials warned that it would be difficult to check the histories of refugees, but Mr. Obama dismissed those fears and started the process. It began slowly, but a surge of resources has put the refugee program on track. Michigan, which has a large Muslim enclave around Detroit, accepted more than 10 percent of the refugees in June. The South is increasingly a destination as well, with massive increases in Roanoke, Virginia; Columbia, South Carolina; Raleigh, North Carolina; and Nashville, Tennessee…..
Also getting a spike in June was Roanoke, which went from one to 15 Syrian refugees for the fiscal year. Last year, Roanoke Mayor David Bowers, a Democrat, suggested his city resist efforts to resettle refugees because of a fear of infiltration by Islamic State terrorists. He was kicked off Hillary Clinton’s presidential campaign organization as a result of his remarks. Mr. Bowers didn’t respond to several requests for comment from The Washington Times this week on how his city is dealing with the refugees. Syrian refugees have been placed in 167 communities, touching most states. But the District of Columbia — the seat of the federal government — has not received any refugees, according to the latest statistics. Refugees also have not resettled in Delaware, Vermont, Alabama, Mississippi, Arkansas, Montana, Wyoming, Hawaii, Alaska or either of the Dakotas. Refugees often come as families, and about half of those admitted in June were children younger than 14. About 10 percent were males ages 14 to 30 — the demographic most likely to be radicalized. The quickened pace of approvals also has analysts worried. They say nothing has been done to improve screening, so it’s unclear why the government feels more comfortable moving faster. “It should be of great concern that these refugees are being processed so rapidly now,” said Jessica Vaughan, policy studies director at the Center for Immigration Studies. “It is no easier for the U.S. government to vet these people now than it was when FBI Director [James B.] Comey made his statement that it can’t be done. What has changed is there is now enormous pressure on the officers who are reviewing these cases to do it quickly. And that never ends well,” she said. Fears of infiltration grew last year after at least one of those involved in the Paris terrorist attack was identified as a Syrian who sneaked into the country amid the flood of refugees into European countries, overwhelming governmental screening efforts. Officials insisted screening was tighter in the U.S. because all refugees have to be vetted. They pointed to the success of the U.S. program in bringing Iraqi refugees as evidence that they could successfully operate in troubled countries. But in January, the Justice Department announced terrorism-related charges against two Iraqi refugees — one of whom was living in Syria at the time he was accepted into the U.S.
“This is being done really based on hope more than knowledge,” Ms. Vaughan said. The U.S. relies on a United Nations agency to identify potential refugees, then American officials conduct their own screening from that pool. Republicans have accused international officials of skewing the pool toward Muslims, filtering out potential Christian refugees. 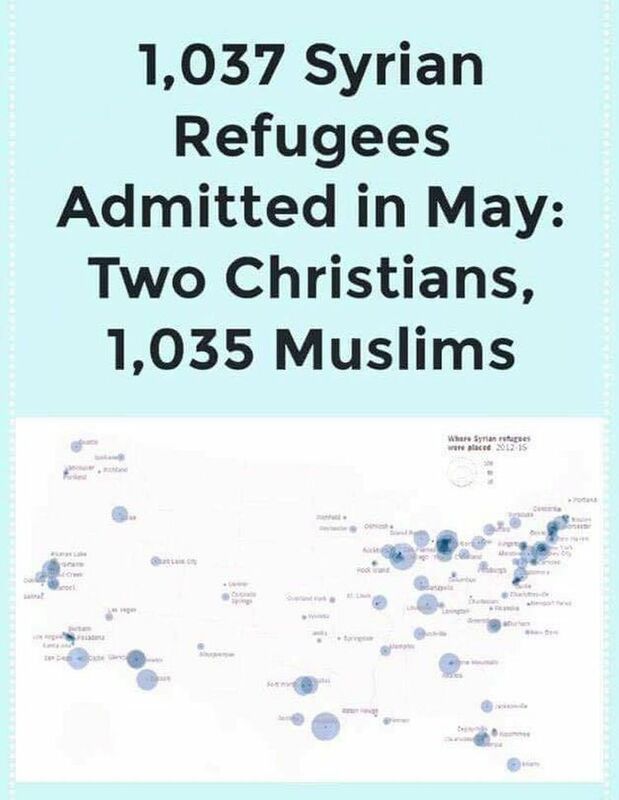 But the U.N. High Commissioner for Refugees says it is not manipulating the numbers, and few Christians are registering with it in the first place. IN a nutshell, since the aforementioned reveals the insidious national security threat from Islamic jihadists (whether newly arrived under this or that status, or within the Muslim-American community at large), the fact that Obama Inc. is Allah-bent on meeting the Jihadi-in-Chief’s quota for Islamic infiltration and penetration – despite the stepped up jihad within the nation – know that said actions are force multipliers to the charge sheet within these page. Bullet proof. ONLY fools and knaves would argue that a tipping point hasn’t arrived, whereby a preponderance of anti-Americans within the Democratic Party (with RINO’s in tow) adhere to a cross between red and green ideologies. Effectively, the foxes are not only guarding the hen-house, in tandem, they are devouring it. Rapacious. THE open and urgent questions become: If Mr. Trump manages to bypass Clinton’s criminal machine, will he be able to clean house? In other words, first and foremost, how exactly does he intend to stop the subversive activities of the those sitting within Capitol Hill, let alone their surrogates throughout the nation? MOST significantly, is it now considered the “norm” within western democracies to allow the enemy within (all in the name of so-called “tolerance” and multicultural inclusion) to subvert the national interest? Rhetorical. PC gone wild and off the rails. EFFECTIVELY, the enemy, inside and outside, has managed to turn freedom-based principles against the citizens at large. To wit, it is both rational and reasonable to warn: how much time is left before America falls off the cliff?? INDEED, many in Congress are slitting America’s throat, with the intentional assistance of the so-called umbrella for national security, DHS! UNDER any other administration it would be impossible to conceive that the FEDS – sworn to protect the nation – would outright lie about the gravest threat to the homeland. Yes, in order to push through an anti-American political agenda, security heads lend HUSSEIN Obama cover. This is demonstrably the case within Obama Inc. Rest assured, TOP counter-terrorism associates are fully in agreement with said assessment. STILL yet, one of the straighter shooters is James Comey, the Director of the FBI since Sept. 2013. He is acutely cognizant of the imminent dangers posed by Islamic terrorists, as well as the direct linkage between an influx of “refugees” and the support (material or otherwise) given by a preponderance of elements within the Muslim community. However, the fact remains that HUSSEIN Obama is driving the FBI’s course of action – chiefly through its Islamic indoctrination – regardless of how many hearings Director Comey attends. In reality, this and that hearing is akin to placing lipstick on roasting pigs. YES, time and again, this investigative journalist has proven these same charges, but they bear repeating. Wait and see. In fact, let it be known that DUE DILIGENCE, a MAJOR requirement for all employers – let alone law enforcement hires – no longer exits. Again, period. A federal judge in Washington, D.C., ruled Thursday that the Council on American-Islamic Relations – a group founded by the Muslim Brotherhood in the U.S. – has no legal basis to claim its reputation was damaged by an undercover investigation documenting its ties to global jihad. In its lawsuit, which is scheduled to go to trial, CAIR originally alleged it suffered damages after the younger Gaubatz, posing as an intern, obtained access to some 12,000 pages of CAIR internal documents under false pretenses and made recordings of officials and employees without consent. 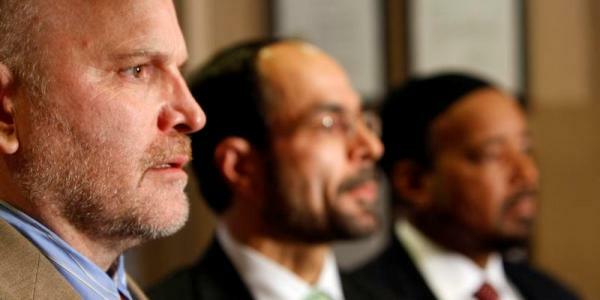 CAIR, an unindicted co-conspirator in the nation’s largest terror-funding case, complained of the loss of donor revenue and the loss of contact with legislators and policymakers. But when asked by defendants in the discovery process to identify its donors and name the lawmakers it has contacted, CAIR replied by stating it was no longer claiming damage to its reputation. Furthermore, she said, CAIR itself has chosen three times not to claim damage to its reputation…. “Muslim Mafia” documents CAIR’s support of jihad, recounting its origin as a front group for the Palestinian terrorist group Hamas and the Muslim Brotherhood, the worldwide movement that has stated its intent to transform the U.S. into a Saudi-style Islamic state. Horowitz previously told WND a trial will likely be set for next year, and the case will not settle unless CAIR dismisses and pays the Gaubatzes’ attorney’s fees. WND reported that Republican candidate Dr. Ben Carson has called for an investigation of CAIR, and the White House invited a CAIR executive to a meeting on battling religious discrimination. WND reported in October that CAIR’s problems with the IRS, exposed in “Muslim Mafia,” were noted by Carson. CONSEQUENTIALLY, the idea that any U.S. law enforcement agency would employ an Islamist officer, no less, one who is a leader in CAIR, well, surely the foxes are more than in control of the hen house!! Ya think? Indeed, they are running influence operations and most non-Muslim Americans, tragically, are clueless. Never mind, it is FAR worse. AT the same time that Islam’s barbarians are terrorizing American citizens (let alone others all over the world), and with Redlands (even as more and more bodies pile up, terror attack after attack, and this has been ongoing before 9/11/01…) barely in the rear view mirror, Florida’s Muslims (by extrapolation, all Muslims in America) are being coined as “victims” of retribution from out of control American patriots bent on “revenge.” You got that? And guess what? In October, the ISONET youth group co-sponsored an event with the American affiliate of Islamic Relief(IRUSA) to raise funds for Syrian refugees. If you wish to contact Broward Sheriff Scott Israel to voice your opinion on this matter, you can do so by sending an email to ask_the_sheriff@sheriff.org or by calling 954-831-8901. MORE specifically, the fact that Florida is a jacked up Brotherhood state does not obviate that every other state in between is equally infiltrated and penetrated. Again, dedicated readers are duly aware of this truth. EGREGIOUSLY, the Islamic weapon of “Islamophobia” is utilized by Allah’s Muslim’s Terrorists housed within America’s law enforcement community! What next, keffiyeh’s and the like for all officers, in solidarity with their Muslim overlords?? NOW, let’s get this off the table: Agreed, hiring Muslim-Americans would be valuable for this and that, but that’s akin to looking for a needle in a haystack. And being that it is plainly clear that due diligence does not even exist, well, any Muslim hire must be considered suspect. Suicidal. 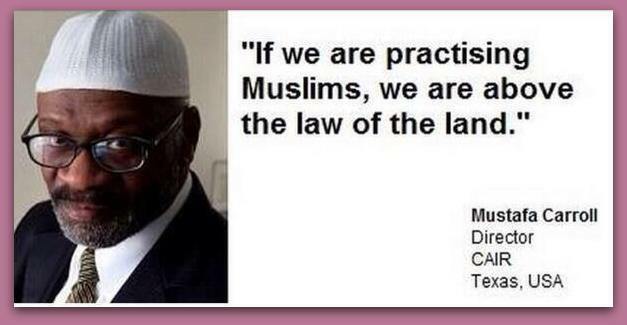 Yes, the fact that a preponderance of Muslims view Islam above the law of the land, what else needs to be said in this direction? READERS, imagine, if you dare, the NYPD training members of the five organized crime families – the Bonanno, Colombo, Gambino, Genovese and Lucchese Mafia crews – because said gangsters are “afraid” of retribution for all their shakedowns and concomitant criminal activities. Regardless, they want law enforcement’s protection, law abiding folks be damned!! Still yet, it is not such a far-fetched proposition, at least under commie and Islamist loving Mayor de Blasio. Sheesh, NYPD officers have been known to dance in Islamist parades! More of the same is illustrated here too. Not only that, a Miami, Florida Assistant Deputy Police Chief, a Muslim, Anita Najiy, refused to pledge allegiance during an official ceremony! Understood? MIND you, even the UK’s top leadership, a nation which is infested with Islamists running amok, declared that the Muslim Brotherhood, CAIR’s parent and umbrella, is a terrorist organization. Not only that, Egypt issued a “Red Notice” for its top godfather, and a smattering of Mid East eastern players have joined in said terror designation. So, the key and core question is: Why is Obama Inc. a hold out? OMINOUSLY, as they trained for one year at a Riverside, CA gun range with nary a question asked, in tandem, they also managed to accumulate a $ 28,500 bank deposit with suspicious origins. 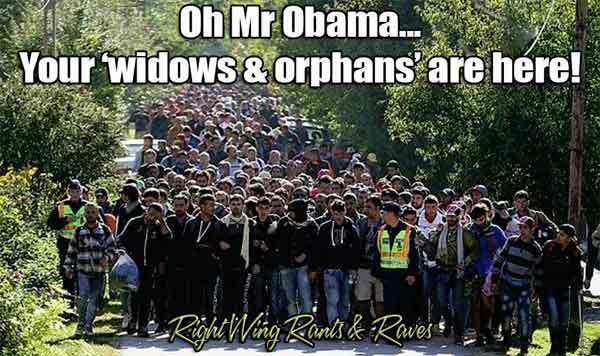 Again, akin to teflon, why are Muslims in the U.S. protected, rendering them hands-off?? CONSEQUENTIALLY, since HUSSEIN Obama sits atop the west’s stink pile, and his underlings are part and parcel thereof, what else can one expect, other than an anti-American result? Cause and effect. BACK to DHS’s terror-laden employees…. Rep. Stephen Lynch (D., Mass.) revealed that a congressional investigation found there were at least 72 Department of Homeland Security (DHS) employees, who are also on the terror watch list. He also pointed out that an investigation of airports in the United States that security failed 95% of the time to find a weapon hidden on the persons of passengers. The investigators would fasten a gun to their ankles or other places and made it through security almost every time. Lynch has broken with the president and says that we cannot trust this government to properly vet Syrian refugees or refugees from other war-torn countries. Meanwhile, back at the DHS ranch, we have 72 employees, some of whom could very well be placed in positions where they could aid terrorist attacks. How did this happen? Simple. Obama. The Obama caliphate decided that running criminal background checks were discriminatory. They pressured state and local governments and private employers by the EEOC. (Equal Employment Opportunity Commission) The Obama caliphate insists that criminal background checks are discriminatory because they adversely affect minorities, such as blacks, Hispanics and Islamic terrorists. Attorney General Loretta Lynch and FBI Director James Comey give a briefing on the security measures to protect the United States from a terrorist attack. EVEN so, there are some who are willing to go public (albeit, once retired), regarding the stone cold silence from Muslims in America. Said whistle blowers tell the same tale: NO CAN DO is their conditioned (and general) non-response. THUS, never and never will agents under HUSSEIN Obama (even if it is their goal) receive ANY substantive help from Muslims in America. Not only that, another administration – if operating under similarly restrictive parameters set up under DHS – will meet the same stonewalling and silence. However, certain pressure points will change the calculus, if aggressively applied. And, if “advice” is required re this and that, just give a shout out in this direction for proven methods. Will hook you up. Sheesh. TO wit, with America’s security in jeopardy to an unprecedented degree, again, what is the Traitor-in-Chief’s reaction and response? McCaul also said President Obama has “doubled-down on a strategy of hesitancy and half-measures” against the group. The officials, speaking on a condition of anonymity, said that the report was commissioned prior to the Nov. 13 Paris attacks, and before the president said that ISIS is contained. After reviewing the report’s sober conclusions, Obama sought options from Sec. of Defense Ash Carter and Chairman of the Joint Chiefs of Staff Joseph Dunford concerning how to more effectively prosecute the fight against ISIS. HOW many ways can you repeat: Liar, liar, pants on fire! IN reality, what is really going down in the Mid East’s cauldron of hell fire – with the most dire knock-on blow back to America and Israel – is the following: Via HUSSEIN Obama’s sleigh of hand, yes, the so-called “rebels” are protected by U.S. air cover under an absolute smoke and mirrors show! BOTTOM LINE: Less than 6 degrees separated. CASE CLOSED: Against Obama Inc! BE they domestic or foreign enemies, a (civilized) nation’s security arms have a sworn duty to protect the citizens. No doubt. However, under HUSSEIN Obama said mandate has been flipped upside its head. Resultant, Americans would be wise to be VERY fearful of the leadership’s Federal security forces, every bit as much as enemy agents. AND those who believe that such an assessment is nothing short of hysteria or hyperbole may want to reconsider – or not. On the other hand, this address prefers to deal with reality, regardless of where it leads. Alas, for some, even atop enumerable signals, an American leader can actually document his heart of hearts and profess allegiance to Muslims, yet, they remain in denial. Suit yourselves. WHAT’S ambiguous about that? Not a damn thing. IT is under this glaring and microscopic examination that HUSSEIN Obama’s DHS treachery is exposed for what it is. Yes, some may inquire: even so, what difference does it make, after all, what can be done to stop this behemoth? Not so fast. ACTUALLY, the more Jeh Johnson, DHS’s Director, is placed under the spotlight he is forced to defend the strategies – or lack thereof – of his agency. This is precisely why certain folks – in particular, whistle blowers – are prime targets of harassment campaigns and other silencing and menacing tactics. AS to Special Border Agent Julia Davis….O M G! And the targeted list goes on, duly supported by (yet to be revealed) copious amounts of confidential info within this domain. It is off the charts. ARE the readers sensing a pattern, as to DHS’s malignant behavior? Hope so. IN this regard, a concerted amount of energy is expended to highlight the dangers underwritten by Obama Inc.’s DHS. Consider: while this site has already revealed a lengthy list of evidence, suffice to state that a most recent one (June 2015) encapsulates its essence via DHS and its Mafia-like tentacles. More than indicting. BACK in May 2013, the following was reported at these pages: “DHS, A Malevolent Anti-American Behemoth Targets Whistleblowers & Patriots: Valerie Jarrett’s Fiefdom.” Its contents are more than indicting. IN relationship to this same trail, Oct. 2013 included a follow-up to Jarrett’s stranglehold on DHS: “Targeting Patriots: Warnings From (Ret.) Army Officers of Martial Law & More.” Does it get any clearer, as to the groundwork being laid by Obama Inc.’s DHS? Not really. SO, adding fuel to the fiery charges, guess what was found out in Dec. 2013? “DHS was caught ferrying illegal aliens”, thus, usurping its own “law and order” enforcement mandate! That’s what. PAR for DHS’s criminal course, Mafia-like, they not only lie but aid and abet terrorist infiltrators, as indicated in a Dec. 2014 commentary! Believe it. EVEN so, DHS’s (Obama Inc.’s) criminal behavior begs the main questions: why is DHS ordering Border Patrol to lie about Islamic infiltration? and what are they up to? INCONTESTABLY a deliberate, willful, highly dangerous and ongoing campaign to pave the way for anti-American forces – be they illegal or legal subversives – is the centerpiece of DHS’s activities. Forget about any other balderdash spewed from Jen Johnson or his mouthpieces. Consummate liars. RESPECTIVELY, shielding Islam from any blow back by patriotic Americans (numbering in the many millions), regardless of atrocities committed in its name, is a priority for each agency under this totalitarian-bent regime. But none is more dangerous than DHS, as they are the custodian’s for America’s safety! TO wit, once again, Jeh Johnson lied like a drunken sailor. Whereas he previously denied that ISIS is a threat to America, he is now parroting his boss, dictating that ISIS shouldn’t be associated with Islam! Did you ever? ISIS stands for the “Islamic State in Iraq and Syria.” But it seems Homeland Defense Secretary Jeh Johnson didn’t get the memo and is now telling Americans not to associate the Islamic State with Islam. Homeland Security Secretary Jeh Johnson says that in order to keep ISIS from radicalizing Americans inside the United States, it is “critical” not to use the word “Islamic” when describing attacks or other actions tied to the terrorist group. “[ISIS] would like to be referred to as ‘Islamic extremism’ because it therefore concedes that what they are saying and what they are doing occupies legitimately some form of Islam,” Johnson said today at a national security forum in Aspen, Colorado. “The Muslims I know and that I’ve spent a lot of time with in this country believe just the opposite,” he added. Rebuffing any suggestion that he’s being “politically correct,” Johnson said “building trust” with Muslim community leaders across the United States is “fundamental” to the U.S. government’s counter-terrorism efforts. Jim Hoft notes that the so-called “Religion of Peace” has killed over 2,988 during the month of Ramadan 2015. And don’t forget, they’re now using children to carry out their heinous acts of murder. But hey, there’s nothing to see here, right? Right? These people are going to get us all killed if we’re not careful. HEY Jeh, with all ‘due’ respect – as if – S T F U! NOT only that, as the ‘non-Islamic’ ISIS (and the rest of Islam’s hydras) blow up the Mid East, Africa, Europe and beyond, so too its followers have been granted free rein to slaughter America’s military personnel. In fact, they recognize that DHS is on their side and that is that. Regular citizens, watch your backs because no one else will. BUT if you think HUSSEIN’s goons can’t top their treachery, you would be wrong. Alas, whereas an open sesame has been granted to an unfettered amount of Muslim ‘refugees’ (coupled with regular Islamic immigration and student visas alike) throughout his (hellish) two-terms in office, Christian refugees, those whose coreligionists are being decimated throughout the Mid East, are told: NO CAN DO! BESIDES, people who pride themselves on being rational, honorable and somewhat knowledgeable about world events, can’t deny what is taking place before their (horrified) eyes, thus, questioning: what the devil is going on? How could it be that the traditional role played by the leadership of the free world is shielding the most retrograde force known to man, Islam, at the expense of freedom and liberty? SIMPLY put, a verifiable and air tight case has been made that Obama Inc.’s tentacled arms of (in)security are determined to confuse the public by (mentally) disarming the citizens. Instead of protecting them, they disentangle ‘Pure Islam’ from its roots; that which is responsible for attracting millions of committed Muslims to join the ranks of ISIS by feigning that what is isn’t. Who behaves this way, other than committed Islamists and anti-Americans?? 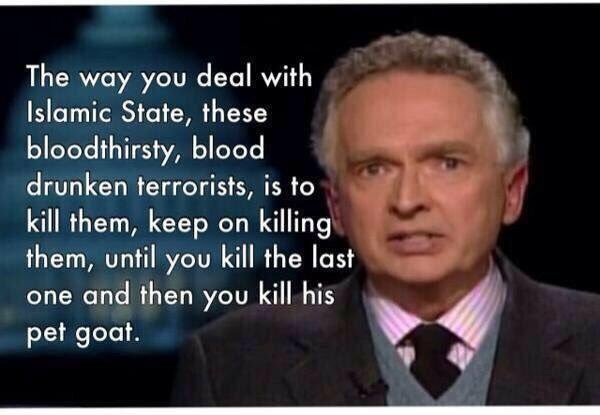 REST assured, ISIS, Al Qaeda, Hamas, Boko Haram, and the dozens of other Islamic terrorist groups are just splinters from the Islamic ideology itself. AND its followers living in America do not support the U.S. Constitution over Shariah law. If a Muslim tells you he/she does, they are lying to you. The only solution to save America is for America to be a land for Americans only or those who would give their life to support the U.S. Constitution. If a person does not meet this requirement then he/she should be considered an enemy of America. MORE specifically, BOKO HARAM, the group that kidnapped 300 innocent Christian children in Nigeria are practicing Islam as Mohammed and Shariah law dictate. They are not radical. They are ‘Pure Muslims’ who desire to live in a land as Mohammed wanted. They are just carrying out his commands. AT the end of the day, if those sworn to protect America deny the gravest threat to America and to the entire west – either due to their actions or lack thereof – aren’t they committing treason at the highest level? If not, why not? EXTRAPOLATING further, who in their right (no pun intended) mind would follow security directives from said anti-Americans and inveterate liars? EVERY time that the appellation Mafia is applied, it conjures up criminal intent. This is the case because its underlying derivative is Mafia Inc.
NOW, it makes little diff if said criminal tentacles are housed within America, Europe, the Mid East or elsewhere. Rather, its basis lies in the organizing and oversight of illegal agreements and transactions under the umbrella of a syndicate. THAT being said, relative to the most well known of Mafias, the Italian Mob, most think about what they have seen on tv as to what’s what. A starting point. On the other hand, as dangerous as these “wiseguys” are, the fact remains that most who end up in their firing line – through intimidation and strong-arm tactics or literal elimination – are those who have “done business” with them and end up in their cross hairs. Yes, innocents get caught in their web, but that’s not the norm nor the point. POINTEDLY, this investigative journalist utilizes the aforementioned designation with all due deliberation and diligence, ala referencing the Muslim Brotherhood and the administration of HUSSEIN Obama, Obama Inc. It is not for nothing. STIPULATED, both operate akin to criminal hierarchies and all that it entails. In fact, relative to the Brotherhood, it has been proven to be the case beyond a shadow of a doubt. Effectively, the back up of said charges can be found in the “book of books” on this subject matter, “The Muslim Mafia.” To affirm that there is a familiarity with its contents and its author is a mild understatement. Trust this. ALONG this same trajectory of understanding, let’s first prove that DHS – in its current status – is similarly bent. Once done, the latest allegations within today’s thesis will come full circle. Inherently, today’s report will further serve as prima facie evidence to substantiate this site’s own volume of evidence. AND, as is said, this is where the rubber meets the road, relative to today’s concomitant proofs via the latest Mafia tactics against Special Agents who blow the whistle on the regime’s concomitant treachery. Still, before we get to another twisted evidence-based report, hark back to a previous alert at these pages, starring…Julia Davis. O M G! Inside any criminal organization there is a prime directive that says “support Big Brother in every way or their will be serious consequences to pay.” It’s no different in the Obama administration. Time after time they are quick to punish anyone who dares to reveal to outside world what is really going inside their insidious agencies. Then, should you be brave, or foolish enough to violate the directive they’ll take your job, your reputation, and as in this disgusting case — they’ll even try to take your children. A Department of Homeland Security agent blew the whistle on the feds . . . and they went after her with a vengeance! Now, she’s speaking out before Congress. Where will this end for her? Obama’s cohorts don’t take well to being called to task. After blowing the whistle on the EB-5 program, agency retaliation was swift and severe. Johnson was escorted from her desk and denied access to her own case files. The government then informed adoption social workers that Johnson had lost her job due to criminal activity. “When an adoption social worker tried to contact and verify employment, she was told that I had been terminated for a criminal offense,” Johnson said, holding back tears. “I almost lost my 1-year-old child.” Johnson was also denied her constitutional right to carry a firearm. “I was told I couldn’t even carry or own a personal weapon which is a constitutional rights violation,” she testified (H/T WZ). Eliminating your job, your reputation, and your constitutional rights seems to be policy for the Obama administration . . . but trying to take your children? VIDEO: DHS Agent Exposed Obama! Feds Take Her Job, Her Reputation . . . And Go After Her DAUGHTER! RESULTANT, akin to all criminal complaints, attendant testimony becomes part of the case file. To wit, please review this hyper-charged document, if interested in where the truth lies. REGARDLESS of anything else, it doesn’t matter who fronts for a criminal cartel, be they Ivy League educated and tailor-made suit types (pantsuits or dresses, whatever the case may be) or “wise-guys”, some of whom likely never graduated from high school. NOT only that, from this well-connected perch, suffice to state: place this investigative journalist one on one with a “wise-guy” any day of the week, for on this end their messaging would be deemed more trustworthy than anything uttered by DHS’s Mafia goons. Absolutely. MOST significantly, the amount of damage accrued under HUSSEIN Obama’s crew (on a macro scale) has an exponentially graver and greater quotient level in juxtaposition to other cartels, in relationship to America and its knock-on effects to the entire west. Consequentially, if the generally held definition of Mafiosos deserve jail time, what exactly do DHS’s criminals warrant? FOLKS who are closely analyzing JADE HELM 15’s encircling of America’s communities intuit along these lines: what their mouthpieces are presenting as the “truth” isn’t anything of the kind. Not even remotely. Holy crap. EVEN so, this investigative journalist’s motto is: however unpleasant it becomes, it is always best to live in reality and prepare for all contingencies. Thus, to serve as a catch up and a catch-all, readers should piggyback onto this site’s last two commentaries re what’s what. They can be found here and here. Patriots, fence-sitters alike, it is your duty to become duly informed. As is said, buck up. ALAS, once the aforementioned links are reviewed, the following detailed reports veer JADE HELM 15’s underbelly into sharp focus. YES, those who have been paying attention already know about the closing of particular Walmart stores for a six month period or so, albeit due to “plumbing” issues. Do pigs fly? But in reality, “retro-fittings” of Walmart stores – which have a close proximity to railroad tracks in “hot-zone” areas – is, more than likely, at the heart of the matter! In the newly created interactive map embedded below, All News Pipeline has put together a list of the events that we have been watching unfold across America in the last few months leading up to Jade Helm 15 and the 1st thing that immediately jumped out at us was the extremely close proximity of ALL of the closed Wal Mart stores in Jade Helm states to railroad tracks and specifically, to railroad access points off of streets close to the closed stores. In fact, one Wal Mart, the closed store in Pico Rivera, California is a mere 1/10th of a mile away from railroad track access, leading us to ask if this was all planned out the way it appears to have been planned out? We’ve also received a boatload of new pictures from our readers of military convoys including the picture above showing three rigs with military vehicles seen at a Wal Mart store in Chatanooga, Tennessee and many more below including a massive military convoy in Colorado. In the map below, please zoom in and check out each individual incident by clicking on the markers. Quite often, four or more markers are very close to the same location due to numerous events occurring at each one. This map is a work in progress and will be continually updated. In the 3rd video below we take a look at how to navigate this map. You can also access the map yourself here and submit events yourselves. The Wal Mart Supercenter located at 2020 Gunbarrell Road in Chatanooga, Tennessee seen in the image at the top of the story is located less than 2 1/2 miles away from a railroad track access point near the Tennessee and Georgia state border. What we’ve discovered that you can witness yourself in the interactive Jade Helm map embedded above is that each of the shuttered Wal Marts is within mere miles of a railroad crossing, with the Pico Rivera Wal Mart store in California, a store with strong ties to the military industrial complex, only 1/10 of a mile from railroad tracks as seen here. Marlon Brock provided me with the following photos a couple of weeks ago. 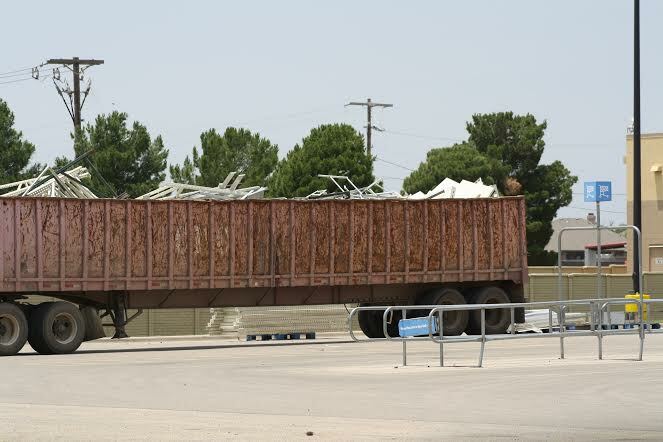 However, I held on to them because I had an unidentified source who claimed that he was working inside of the Walmart in Midland and I wanted to exhaust his information before fully exposing what I knew to be true. Here is what he told me. I have been to the Walmart in Midland that you have written about and what is going on there is not normal and I don’t think it is in the best interest for the people who live in the country. Each day on this job we enter Walmart through a subterranean entrance. We are forced to change clothes and we are allowed to take nothing in so we cannot take pictures. We change clothes when we are done with our 12 hours shifts. There is work going on 24/7 in this Walmart. Our work is compartmentalized in most of our work sites so we dont know what we are working on in its final status. At this Walmart they seem to be in a hurry because I have seen enough to draw conclusions about the final product and it contains some things that you have already written about. Inside the building, I have seen men with DHS badges which we are used to seeing in the jobs that we do. This time we are also seeing men with United Nations badges and they wear the shirt and tie and like the DHS guys they have their construction helmets on as they appear to be planning as much implementing. The place is guarded by private contractor armed with automatic weapons. I have not seen one military person on the inside in uniform. It is all DHS, UN and us in this building. Today was a strange day at the Midland Walmart. I arrived and the shelves and display cases that were taken out have been replaced. in the middle two-thirds of the store, I can see where they have installed mini platforms that I swear look like bunk beds if you put a mattress down. They are attached as the four units are welded together. They did all of this overnight in a 12 hour shift. One of our crew was fired today as he tried to smuggle a phone in his shoe that he apparently tried to conceal within his sock. The entire crew was almost fired over this. They took him out under guard by the private security firm. We are not really allowed to talk but we all have an uneasy feeling. This is like no job we have ever done. Today, the crew started tearing out some of the ventilation system in what must be a change in how they are going to pump air or something else into the store. Some of this work required working on the roof were it felt like 150 degrees. This building was completely retrofitted, and they are not done. This is not a WMart any longer. I think it is a prison of sorts. This just does not feel right. I have a very bad feeling. Back at where we are staying, one guy asked me what I thought. We are required to keep our mouth shut. This guy has only been on one job before this, so I cannot trust him. But he said he has a very bad feeling like we were building a prison and maybe its time that he gets a regular job. Ordinarily, I would not consider publishing accounts like the “Watcher” is reporting because I have no name or pictures. However, some of what he says here seems to be confirmed by Marlon Brock’s photos and eyewitness accounts. Therefore, I have decided to put this in the public venue so everyone else can make up their minds. See how many connections you can make between “Watcher’s” accounts and the Marlon’s photos. I have a friend who works in Killeen Texas in a business that many soldiers go to. I have gotten my friend up to speed on the current situation and he has been asking some of the soldiers if they know about JADE HELM 15. Over 80% of the soldiers have no clue about JADE HELM 15. Recently one of the soldiers told my friend he was aware of JADE HELM 15 and had received training connected with it. The soldier talked about going to people’s homes looking for gun owners and food hoarders. My friend asked him who they considered to be a food hoarder. The soldier replied it was anyone who had more than 7 days worth of food on hand would be labeled a food hoarder. Guns and excess food would be confiscated. The soldier also said no more than 8 people would be allowed to live in any 1 home. CONCLUSIVELY, if you couple FEMA’s underbelly with their Obama Inc. DHS masters, you will understand FEMA is used for “other” matters, aside from traditional disaster relief aid. IN other words, do readers know about the symbiotic relationship between FEMA’s hand-picked clergy, relative to the massive influx of illegal immigrants who carry infectious diseases? Well, FEMA, through DHS, “buys off” their clergy response teams! It is way past time to connect the FEMA dots. CONSEQUENTIALLY, if Americans feel as if they have been dropped into Orwell’s universe…Alice-in-Wonderland’s looking glass too…well, welcome to the new reality created by Obama’s America! 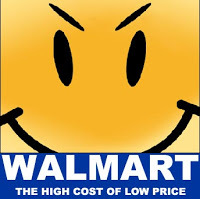 INTRINSICALLY, heretofore bargains found at Walmart are certainly looking like a national fleecing; as if the (low) cost-benefit ratio didn’t come out, at the end of the accounting process, in the customer’s favor. Render your own calculus.